The dollar pulled back against the yen and also fell against a basket of six currencies, even as Asian stocks rose on Friday as risk appetite continued to recover from last week's Brexit shock. Spot gold was up 0.6 per cent at $1,329.66 an ounce by 0418 GMT. The yellow metal registered its biggest monthly rise since February in June and was up 1 per cent for the week so far. US gold rose as high as 1 per cent to touch a session best of $1,334.10. "It seems that investors are pushing both equities and gold higher simultaneously. One of these will eventually have to give, but for the moment, they each seem to be trading on their own dynamics," said INTL FCStone analyst Edward Meir. ANZ analyst Daniel Hynes said bullion's upward rise was just a continuation of its movement following the Brexit vote. "The shock has actually passed but expectations of a rate hike by the US Federal Reserve for the short term has actually fallen quite significantly in combination with the apparent loosening of the monetary policy in Europe driving investor demand," he added. Societe Generale on Thursday raised its gold price forecasts on fears over the ongoing political, financial and economic fallout of Britain's vote last week to leave the European Union. "Looking ahead, it seems that gold will remain one of the major beneficiaries in the current backdrop, as heightened volatility and lingering uncertainty will keep investors' risk appetite in check," the bank said in a note. World stocks rose on Thursday after Bank of England Governor Mark Carney said the central bank would probably need to pump more stimulus into Britain's economy over the summer after the shock of last week's decision by voters to leave the European Union. Silver breached the $19 level to reach the highest since September 2014. The white metal climbed 2.5 per cent to 19.15, after reaching a session high of $19.25. Silver, which has gained more than 8 per cent this week, is on track for its best week since August 2013. 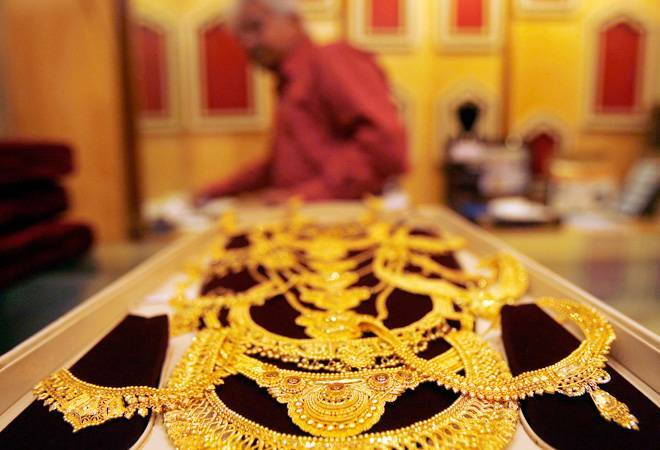 "Gold has been on an uptrend and silver tends to catch up," said Brian Lan, managing director at Singapore-based gold dealer GoldSilver Central. Platinum and palladium both rose to their highest since mid-May and were up 1.1 per cent and 0.5 per cent respectively.